Fertilizers can be vital to the performance of our gardens – either by fueling our high-performance annuals, or in boosting the vitality of our favorite edibles – but they can also be confusing and downright overwhelming. It seems like it should be simple to find a fertilizer that is tailored to the needs of your garden, but investigating the right fit for your plants can pose a challenge if you’re not sure what you’re looking for. Picking the right fertilizer for the needs of your plant often makes the difference between a passable landscape and one that is bursting with life and vibrancy. In order to get the most from your plants, it’s important to invest in quality soil and nutrients. You wouldn’t be able to tell it from many of the labels and varieties, but the fertilizer world can easily be reduced to a few key factors. When choosing fertilizers you’ll be making choices between organic and inorganic fertilizers, and the ratio of nutrients in each. No matter what benefits different companies promise, these are the most important pieces of information to consider when looking for the best food for your garden. Inorganic fertilizers are like a shot of espresso for your plants. They give your garden quick and easily accessible nutrients that help your plants to grow quickly. They pack large amounts of the key three nutrients that your plants need: potassium, nitrogen, and phosphorus, but are lacking on micronutrients. And just like a caffeine high, your plants will need subsequent boosts to keep their explosive growth up. Many of our high-octane annuals are developed to practically rely on these fertilizers to support their one-season-only explosion of life, making them an essential part of your fertilizer vocabulary. However, inorganic fertilizers aren’t the one-size-fits-all solution, especially if you’re thinking about investing in the long-term health of your landscape. Organic fertilizers feed the soil as much as they feed your plants, gradually working towards developing nutrient-rich soil that fuels the long-term growth of your plants. These fertilizers pack less of an immediate nutrient punch, but are a long-term investment in your garden, working to fill in all the essential micronutrients your plants need while boosting the vitality of your soil. 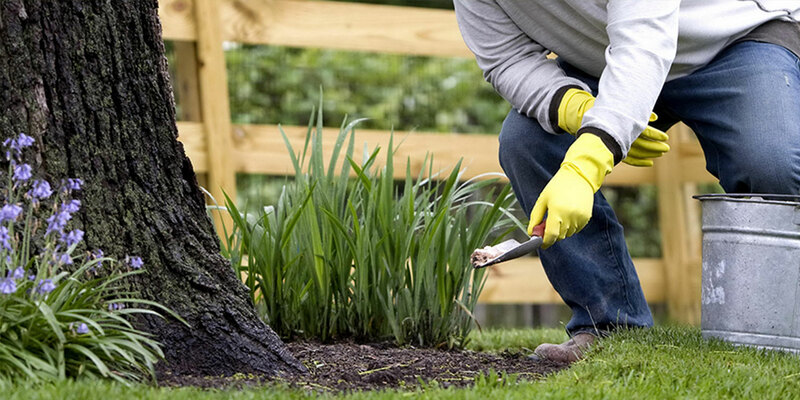 Using organic fertilizers is an important part of building a good foundation for your garden. One of our favorites combines the best of both worlds. Nurserymen’s Sure-Gro is a time-release formula that has a polymer coating which allows the fertilizer to break down faster than compost but much more slowly than a standard liquid inorganic fertilizer. The product has POLYON™ technology, which releases nutrients based on the temperature of the soil, rather than the moisture level, so in sunny Fort Lauderdale, our soil eats it right up! A 6 month supply lasts more like 4-5 months for us as the 19-6-12 blend rapidly supports healthy foliage and flowering, feeds the root system, and fortifies the plant! 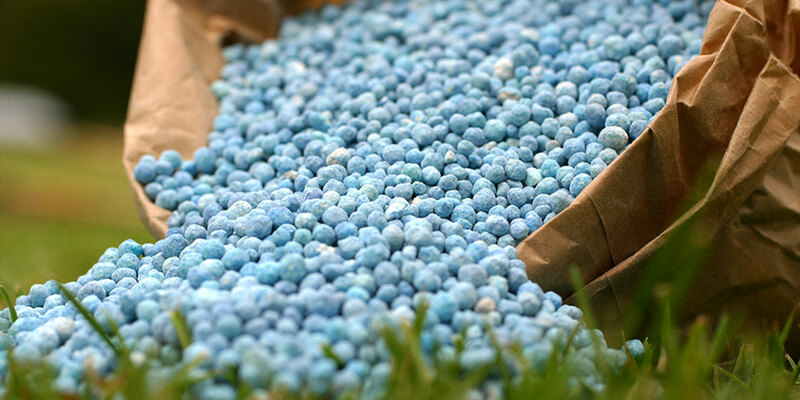 Fertilizers typically focus on three nutrients – Nitrogen, Phosphorus, and Potassium. Each is an essential nutrient for different types of plant growth, and can come in various ratios in commercial fertilizers to feed different types of plants – indicated by the numbers on the packages. These numbers indicate the percentages of each element in their fertilizer – although the numbers rarely add up to 100%, due to fillers and other elements in the fertilizer. However, they still give you an idea of not only the ratio of the important ingredients, but the potency. Different nutrients fuel different types of growth, so focusing on one nutrient might be a good idea for different plants. Nitrogen – indicated by the first number – is important for healthy foliage and leaf growth. Too little, and your plant will look pale and sickly, while too much could result in a plant full of healthy leaves but very few flowers. Phosphorus – the second number – focuses on healthy root growth. Fertilizers with a high middle number can be great choices to get your freshly planted annuals and perennials to set roots for a vibrant season of growth. For flowering plants especially, a good root system is key to keep them blooming and looking gorgeous for longer. Potassium – the third and last number – is an all-around boost to plant health. While it’s less targeted, it works like an essential multivitamin for your plant. The most common all-around fertilizer is a 20-20-20 mix, as it boasts a high concentration of all the essentials your plants need, offering a balanced diet. 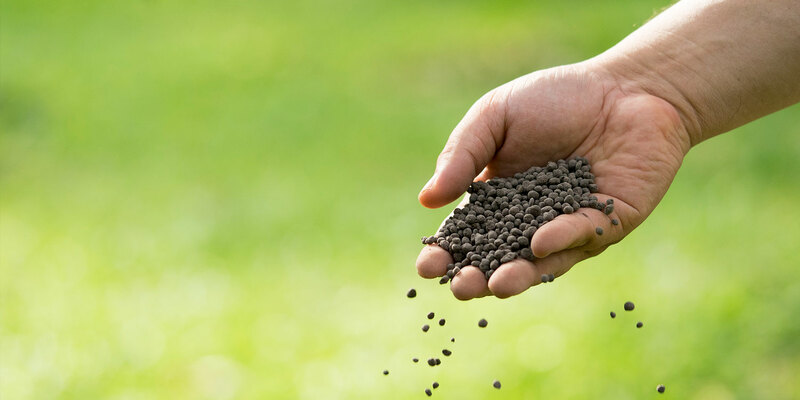 The biggest disadvantage of inorganic fertilizers is that they are a short-term fix. Often they need to be mixed with water to get to the roots of the plant, meaning that you might dose your garden with lots of nutrients, but most of it isn’t absorbed in time and flows into the ground. Some people opt for slow-release pellets mixed into the soil instead to help boost the nutrients given to their garden on a more long-term basis, but the most reliable way to keep your plants nourished while giving them an important nutritional pick-me-up is to use a combination of organic and inorganic fertilizers. This takes care of their long- and short-term needs and ensures your soil is a rich enough to host a beautiful garden for today and years to come. 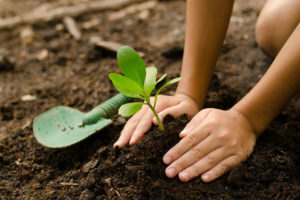 There are many possible organic fertilizers, and many of them are made with very unglamorous materials – from manure to compost – that you can mix into your garden. They generally contain smaller amounts of macronutrients, but have a long list of micronutrients that fuel your plants in more subtle ways. Using organic fertilizers will fuel your plants at their roots every day, without wasting important nutrients to being washed away in watering. While there aren’t many wrong choices about how to fuel your garden with organics, savvy gardeners are wary of commercial organic fertilizers that don’t list what’s in them. While the actual nutrient breakdown might be too complicated to explain the exact composition on the packaging, all fertilizers should at least list their active ingredients. Fertilization is crucial for your garden to deliver the impressive blooms and lush growth we all expect. While the proper fertilizer blend might be subject to the plant in question – a fast boost for sprinters, like your high performance annuals, or a focus on steady nutrition for perennials and edibles – getting the right essential nutrients into the soil makes all the difference in a growing a beautiful garden.